Earlier this year, Ciaran Foy’s Citadel screened before audiences at the South By Southwest Film Festival and was quickly snatched up by Cinedigm/Flatiron Films for U.S. distribution. The film is now poised to hit select theaters on November 16th and we have an exclusive teaser trailer to share with you today… You can find it after the jump. So shaken by the events that hes developed extreme agoraphobia, Tommy alternates days hiding out indoors in his new flat from imagined threats and intense therapy sessions aimed at bringing him back to normalcy. When the same hooded gang, seemingly intent on kidnapping his daughter, begins terrorizing his life again, hes torn between his paralyzing fear and protective parental instinct. 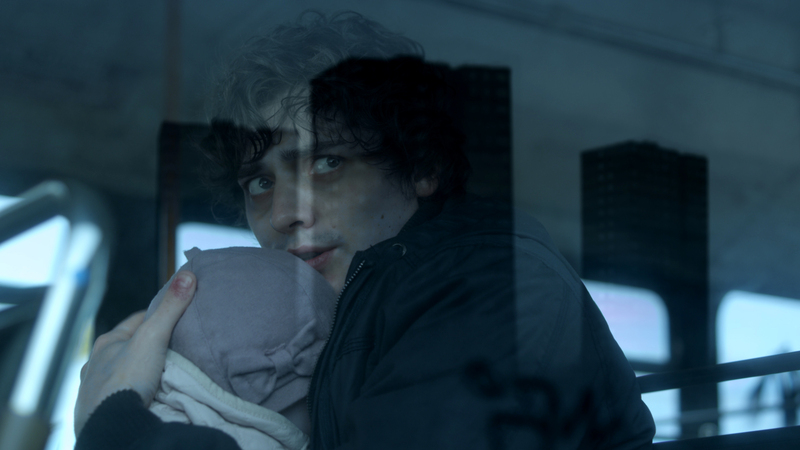 With the help of a vigilante priest who has uncovered the genesis of this ruthless, potentially supernatural gang, Tommy must overcome his fears and venture into the heart of the abandoned tower block known as the Citadel to save his family.